Dr. Casellas Connors is broadly trained as a human-environment geographer. His research addresses the social and political dimensions of environmental management programs and food systems. Utilizing an array of qualitative and quantitative methods, his research explores the ways that humans understand and transform their environments and ultimately are affected by these changes. 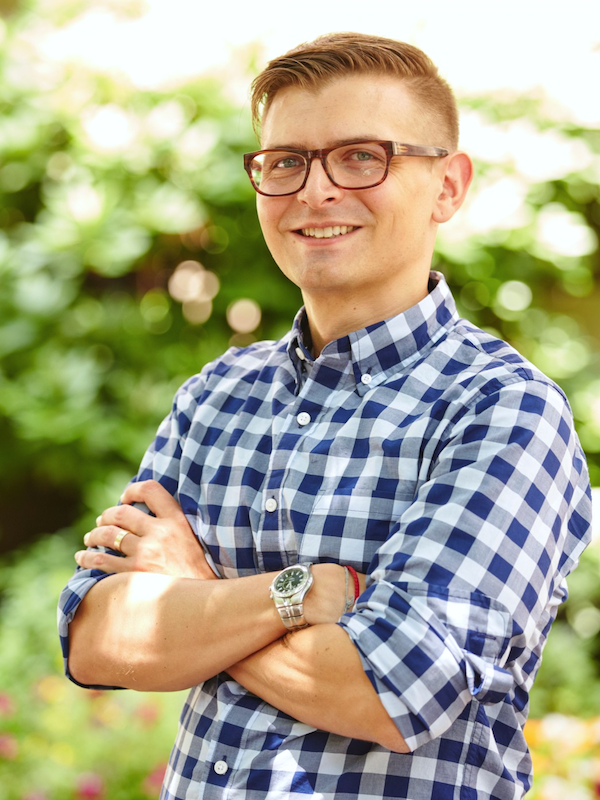 His current research is particularly focused on how changes in the composition of agricultural productions systems across scales may affect the resilience of food systems and influence outcomes in food security. In addition, he is involved with a project examining wildlife management programs in suburban landscapes, where many species now thrive, but institutions and patterns of land use present distinct challenges for management. Eakin, Hallie, John P. Connors, and Christopher Wharton. 2017. Toward Precepts of Food System Sustainability: Emerging Themes and Consensus. Agriculture and Human Values. Connors, John P, Corrie Griffith, Bolanie Walab, Frank Mugagga, and Camille Nolasco. 2016. Urban and Peri-Urban Agriculture: Cultivating Urban Climate Resilience. In Griffith et al. (eds. ), Handbook on Urbanization and Global Environmental Change. Simonit, Silvio, John P. Connors, James Yoo, Ann Kinzig, and Charles Perrings. 2015. The impact of forest thinning on the reliability of water supply in Central Arizona. PLOS One 10(4). Lwasa, Shuaib, Frank Mugagga, Bolanle Wahab, David Simon, John P. Connors, and Corrie Griffith. 2015. A meta-analysis of Urban and peri-urban agriculture and forestry in mediating climate change in East and West African cities. Current Opinion in Environmental Sustainability, 13: 68-73. Kane, Kevin, John P. Connors, Christopher Galletti. 2014. Beyond Fragmentation at the Fringe: a path-dependent, high resolution analysis of urban land cover in Phoenix, Arizona. Applied Geography 52, 123-134. Yoo, James, Silvio Simonit, John P. Connors, Ann P Kinzig, Charles Perrings. 2014. The valuation of off-site ecosystem service flows: Deforestation, erosion and the amenity value of lakes in Prescott, Arizona. Ecological Economics 97, 74-83. Lwasa, Shuaib, Frank Mugagga, Bolanle Wahab, David Simon, Corrie Griffith, John Connors. 2014. Urban and peri-urban agriculture and forestry: transcending poverty alleviation to mediating climate change. Urban Climate 7, 92-106. Yoo, James, Silvio Simonit, John P. Connors, Ann P. Kinzig, Charles Perrings. 2013. The value of agricultural water rights in agricultural properties in the path of development. Ecological Economics 91, 57-68. Connors, John, Christopher Galletti, and Winston Chow. 2013. Landscape configuration and urban heat island effects: assessing landscape characteristics and land surface temperature in Phoenix, Arizona. Landscape Ecology. 28(2). Connors, John, Maggi Kelly, Shufei Lei. 2012. Citizen science in the age of neogeography: utilizing volunteered geographic information for environmental monitoring. Annals of the Association of American Geographers. 102(2). Pontius, Jr. Robert Gilmore and John Connors. 2009. Range of categorical associations for comparison of maps with mixed pixels. Photogrammetric Engineering and Remote Sensing.